Mamadou Cissé is a man on a mission. “I want people to know that the cultural heritage of Mali is rich and diverse.” As the director of the Cultural Mission to Kangaba, part of Mali’s Ministry of Culture, Mamadou is responsible for protecting and preserving cultural heritage sites in this region through monitoring, site inventory, and public education. “Funding [is] one of the great difficulties we are facing. My country lacks financial means to fund research and heritage preservation activities.” Because of this challenge, he says, Malian heritage is endangered by looting, natural disasters, and armed conflicts. Through a recent visit to the United States on an International Visitor Leadership Program (IVLP), Mamadou discovered potential solutions to address the challenges facing Mali’s cultural heritage. As he and participants from 14 other countries visited sites and museums, they explored U.S. practices and new technology in cultural heritage preservation to acquire new tools for managing sites, developing educational programming, and encouraging advocacy. For Mamadou, visiting Chaco Culture National Historical Park in New Mexico was especially rewarding. There, he witnessed greater collaboration amongst local communities to protect and manage sites while also harnessing the power of social media to reach wider audiences. Such observations garnered fresh ideas he plans to implement back home. 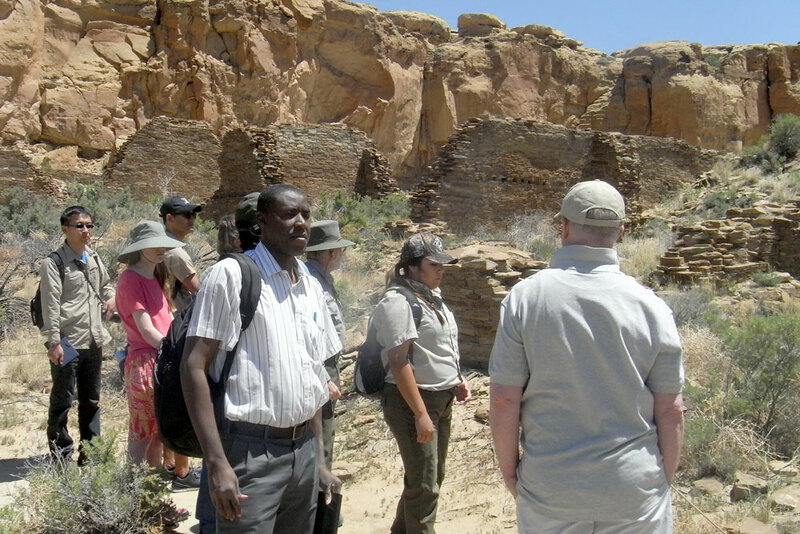 “I was impressed by the variety and the richness of archaeological, architectural, historical and natural sites that are well preserved and managed by stakeholders [at Chaco],” Mamadou said. Mamadou realizes that reaching the youth is critical as he became interested in archaeology when he was very young thanks to the influence of stories from griots (storytellers) on the history of Mali’s great medieval empires (Ghana, Mali, and Songhai). “I decided to be an archaeologist to contribute to the knowledge of the history of these great empires.” That knowledge hinges on the preservation of cultural heritage for future study and enjoyment by scholars and the public alike. Mamadou says he is up for the task.